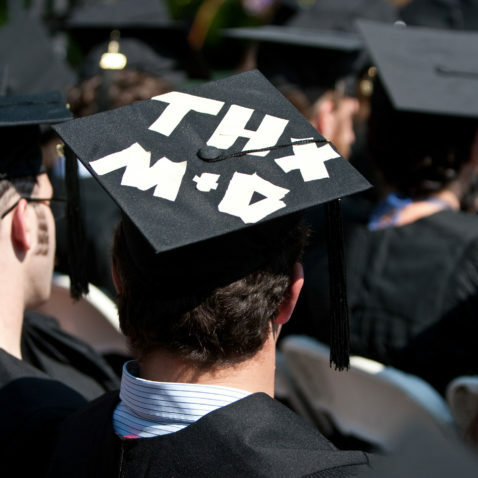 For our students, it's the culmination & celebration of some of the best years of their lives. Find out how to come be a part of it! 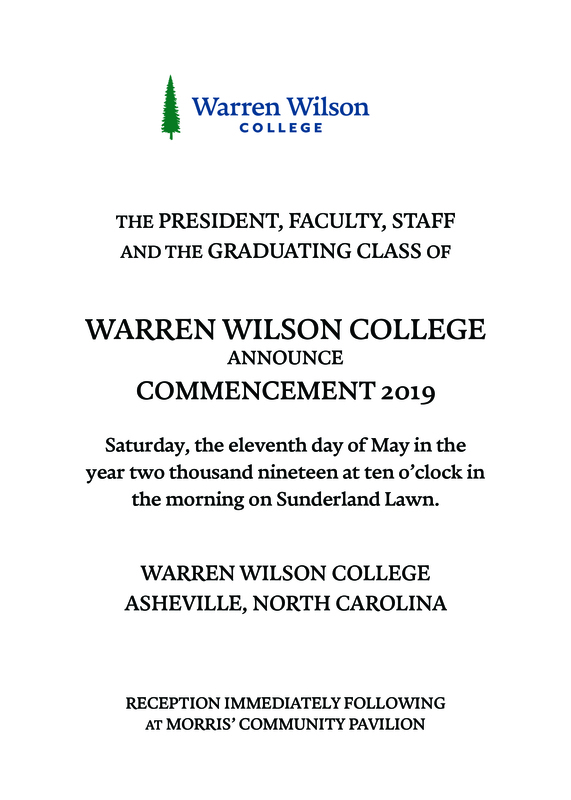 Our 2019 commencement will be held at 10:00am on Saturday, May 11 on Sunderland Lawn. The Honors & Awards Ceremony will be held at 4:00pm on May 10 in the College Chapel. Please see our Important Dates & Deadlines for further information about the end of the semester, residence hall closing, etc. In the event of inclement weather, commencement will take place at our rain location in DeVries Gymnasium. Parents and guests, parking attendants will direct you to the best available spaces when you arrive. Faculty & staff, refer to your email for instructions. Invitations/tickets are not required for admission to the Saturday ceremony. 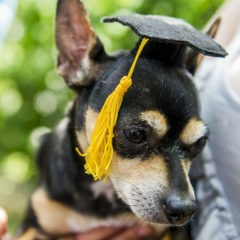 There is no limit on the number of guests that a graduate may invite. Photo Specialties will be present to take a photo of each graduate as they cross the stage and receive their diploma. Photograph proofs and order forms will be mailed and emailed to graduates’ addresses within ten days of the ceremony. This service is provided by Photo Specialties; all communications and photo orders will be from Photo Specialties. If you have any questions, you can call them at (919) 967-9576. Please follow signs and park in designated areas: behind Kittredge Theater, near Jensen Academic building, DeVries Gym, and at the Chapel. Remember, all streets are fire lanes at Warren Wilson. Carpooling is encouraged. Please allow yourself 30 minutes or so to park and walk to DeVries Gym. If you require accommodations, please contact AcademicAffairs at academic@waren-wilson.edu or WWC Public Safety at (828) 230-4592. Details on cap & gown orders and rehearsal are shared with graduating seniors. Warren Wilson College is proud to partner with Herff Jones on commencement invitations and diploma frames. This service is provided by Herff Jones; all communications may be directed to our campus representative: Deborah S. Forrest, LLC (704) 962-1483, deborah.forrest@mac.com. You can download and print a PDF commencement announcement here, or use this image for distribution via email. 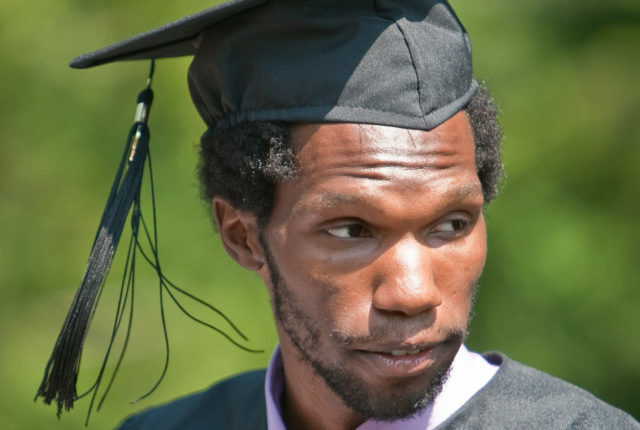 For any other information about commencement, please contact Academic Affairs at academic@warren-wilson.edu. 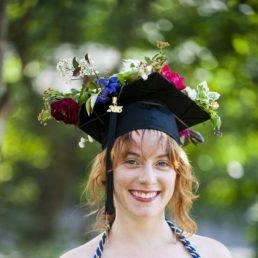 The graduating class votes on a senior speaker who delivers an address that captures the experience of what it was like to attend Warren Wilson during those particular four years. The speeches are frequently funny, heartfelt, and moving. Nadir Karim, below, spoke for the Class of 2010. 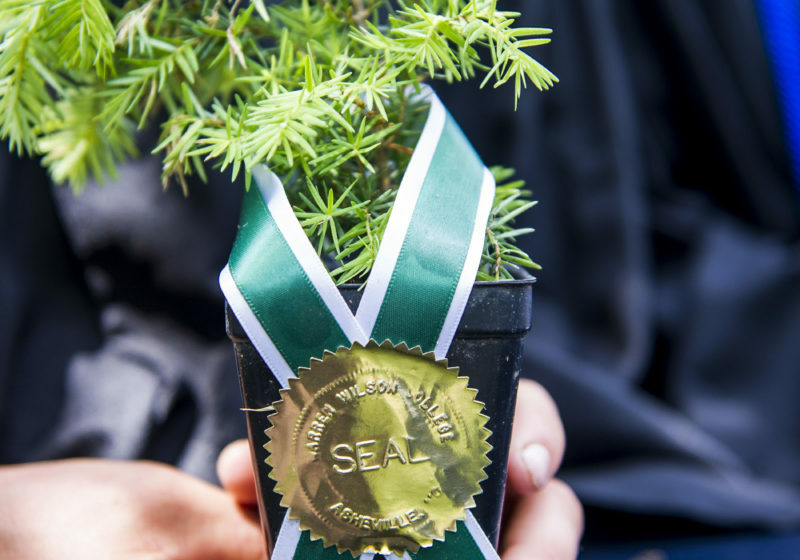 The Eastern Hemlock sapling received with each degree represents a new beginning. 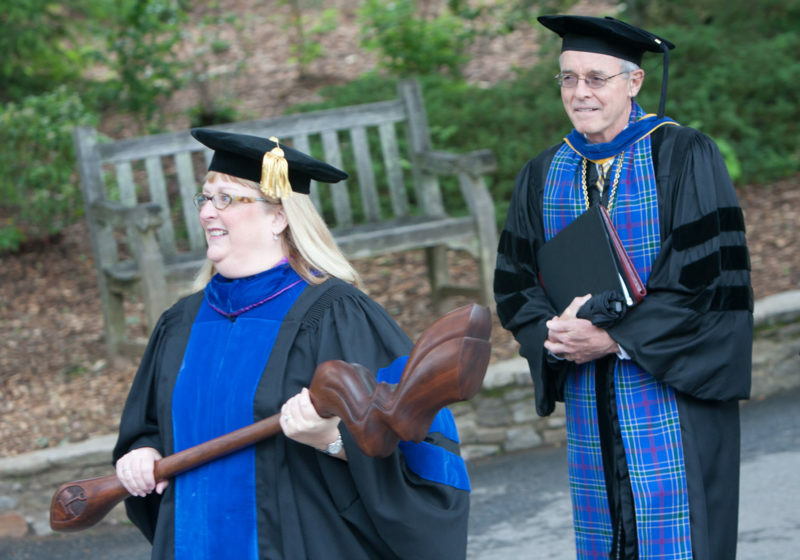 Just as each graduate leaves the College to go, lay down roots, and grow, the graduate is encouraged to plant this tree away from campus to represent their mark as a Warren Wilson graduate in the greater world. 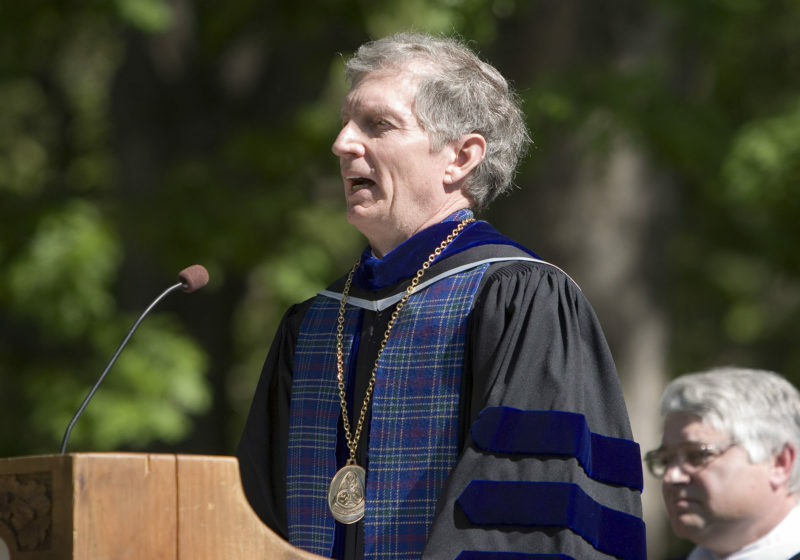 Warren Wilson’s tartan was designed by Sharon Fullerton Grist ’77 to honor the College’s centennial. Blue and gold are the school’s colors. The three bands of maroon represent academics, work, and community engagement; their color signifying the College’s Presbyterian heritage. 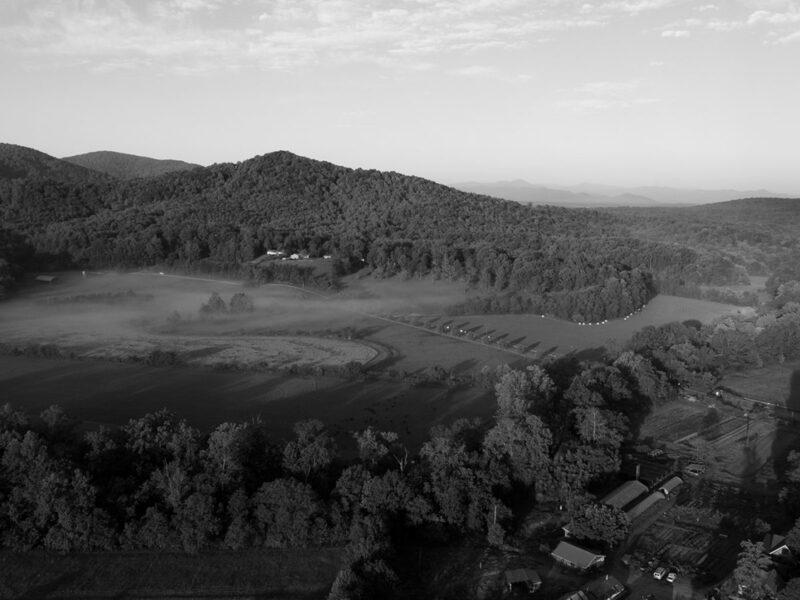 Gray represents the rock upon which the campus was built and green reflects the landscape. The College’s tartan is registered officially with the Scottish Registry of Tartans.